Real estate is a big industry in Australia, with many of the country’s richest now listing property as their sole source of wealth. But are these property moguls doing it by themselves, or do they use one of the thousands of real estate agents operating in Australia to help them sell? Employment in the rental, hiring and real estate industry has grown by 14.7%, according to the latest census data, released by the Australian Bureau of Statistics. Currently, a total of approximately 182,151 professionals are employed by the real estate industry, which is up from 158,853 when the 2011 Census was conducted. Despite the large amount of real estate professionals in the country, people are increasingly turning to the internet to sell their houses themselves. An article in the Sydney Morning Herald equates this to home sellers’ unwillingness to pay the commission and marketing costs that real estate agencies charge, together with an abundance of websites that make it easier than ever to sell your property without the assistance of an actual real estate agent. Understandably, many people are asking whether it’s still necessary to make use of the services of a real estate agent when the internet has provided a host of alternative options that seem to have the potential to save them lots of money in commission and marketing costs. However, in an article on the Real Estate Institute of Western Australia’s website, the Chief Executive Officer of Professionals Western Australia, Shane Kempton, says that selling your home privately may, in fact, turn out to be a more costly exercise than simply hiring a professional to do a job they are highly skilled to do. 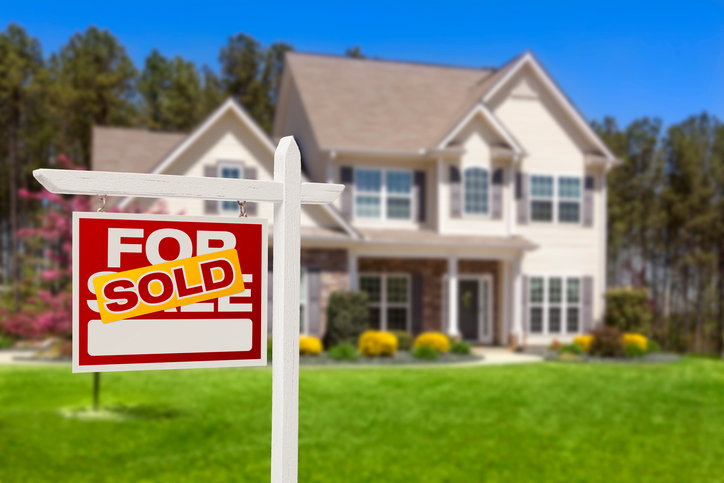 “While only a small percentage of sellers – less than three percent – decide to sell their own home, they should be fully aware of the potential losses before considering this course of action,” says Kempton. Selling your home privately will need to be preceded by thorough research about the exact processes that need to be followed before you can even put the house up for sale. This includes preparing a Contract of Sale, having your property valued, deciding on the purchase price, advertising the house and exchanging contracts. All of these steps – which come with particular aspects that will need to be rigorously researched – must be followed meticulously, or a private seller may end up having to pay fees that they have not prepared or budgeted for, or may even fail in getting a price for their property that is close to what they are asking. Clearly, selling your home without the assistance of a professional, experienced real estate agent comes with a unique set of challenges. Opting for the devil you know might not be the better choice after all, and choosing to find a real estate agent to help you sell your home does come with some compelling reasons. Here is why you need a good real estate agent to help you sell your property. Licensed real estate agents don’t simply decide to sell houses one day, and start selling the next. The process of gaining the qualifications to operate as a real estate agent in the respective states of Australia is methodical, comprehensive and above all, time-consuming. Before obtaining their license, agents are required to complete the qualification that is relevant in their state, before undertaking hours of in-service training. Ultimately, a real estate agent will be familiar with the market that they are operating in, and will also be up-to-date with the current market conditions (which are always changing). Qualified estate agents have had comprehensive training, have completed the registration process, and are licensed under the requirements of the state they operate in. This keeps them accountable for the work they do, and this accountability goes a long way to ensuring you absolutely get what you’re paying the commission for. When using a real estate agent, it is of the utmost importance to ensure that they are indeed licensed to do business in a particular state. This can be done quite easily by running their accreditation against the public register of the state that they operate in. This can be done online in New South Wales, Victoria, South Australia, Western Australia, Tasmania, the Northern Territory and Queensland. Using an online real estate agent finder like Perfect Agent makes it much easier to find real estate agents with the necessary qualifications, experience and accreditation, as we do rigorous checks on all the real estate agents we recommend. Certain key markets like Sydney, Brisbane and Melbourne are showing an increase in the amount of buyers’ agents doing business on behalf of property investors. Should an investor be interested in purchasing your property, you’ll want to have a professional negotiate on your behalf. Even if you consider yourself a negotiator of note, you probably don’t understand the property market like a professional does. Shane Kempton of Professionals Western Australia concurs: “Negotiation skills are a key factor in why private sellers have difficulty achieving the market price of their home. The market reality is that because it is a private sale, buyers will try to negotiate the price down further, believing the seller has a much larger margin of discount available”. Having a licensed real estate agent handle the sale of your property also gives you legal protection. As real estate agents have a legal obligation, or “fiduciary duty”, to make sure your interests are protected, they will know how to safeguard you against any potential legal consequences arising from the sale of your home. This includes advice on disclosing information about faults, recommending inspections, as well as ensuring the details in the contract are correct and that you meet all tax obligations associated with the sale of your property. Real estate agents are familiar with the market they work in and can give professional advice based on real sales experience. Considering the fact that the past few years have shown an upward trend in housing markets all over the country, but that this trend seems to be slowing down, knowing the property market in a given state, city or suburb is paramount if you want to get the very best price for your property. Aside from the fact that real estate agents may have been doing business in a specific city or suburb for a number of years, becoming well acquainted with the ebbs and falls of its property market, they also widen the scope of market exposure that a property could get. In the end, you will want to sell your home at the highest possible price, and this means you will need to get the message to the largest possible group of potential buyers in a given city, suburb, or state. In this regard, real estate agents are a godsend. Says Shane Kempton of Professionals Western Australia: “A good real estate agent will have a database of potential buyers, and if they belong to a large real estate group, the home has the potential to be marketed nationwide as well as internationally through the internet”. In addition to marketing your property to the largest potential market, real estate agents will also advise you on the best asking price for your property, based on comparable properties in the city or suburb. Real estate agents know what properties actually sell for, because they conduct their business in this sphere every day. Your idea of the actual market value of your property may be wildly skewed in either direction, but it is important to establish an amount that helps you to make a profit on your initial purchase, whilst still being realistic in the current market conditions. Trustworthy and experienced real estate agents are invaluable in this process. When determining the value of a property, real estate agents perform a comparative market analysis. If you are not familiar with the term, a comparative market analysis is an in-depth evaluation of comparable homes (“comps”) that have been sold in an area in the past 6 to 12 months. A CMA will not only take into account the features and size of your property, but will also consider the suburb and local area, and the homes surrounding it. Real estate agents will also take note of the school district – of which there might be several in a town or suburb – in which a home is situated, and the comparable properties within that specific school district. In terms of your property, a comparative market analysis looks at the interior features, exterior features, mechanics, yard features and location, and the style of the residence. You probably have many other general questions relating to the sale of your property and what needs to be done before your house goes on the market – real estate agents don’t just have general answers, but will also be able to advise you, based on current market conditions and property trends in the suburb or city you are selling in. Real estate agents know which repairs can make or break a sale and will advise you accordingly. Disclosing all faults with a property is integral to avoiding any legal repercussions after the sale and transfer of a property. With that being said, some repairs really cannot be left to the new owner of your house. Not only does this bring down the potential purchase price of your property, it also lays the foundations for having your property on the market for longer than it needs to be. 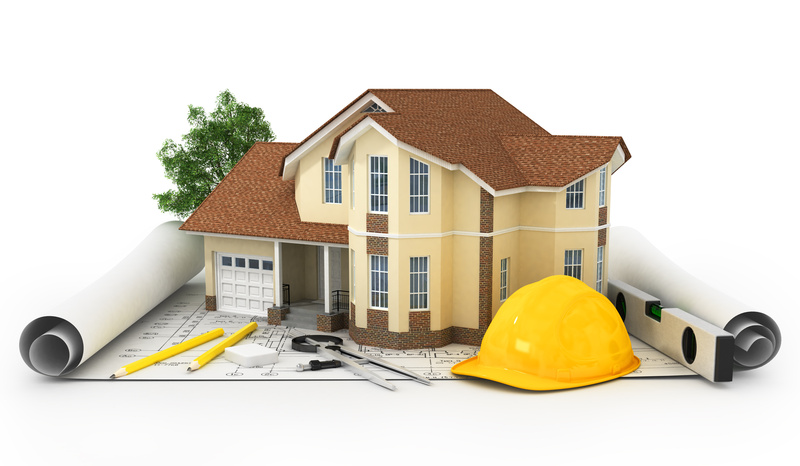 Your real estate agent will recommend an inspector to ascertain the state of things like roofs, septic systems, electrical and plumbing systems, foundations and other major components to ensure that any faults are either repaired or explicitly disclosed before your property goes on the market. Litigations after a sale are more common than you might think, and an experienced real estate agent understands the risks involved with not disclosing even the smallest defects. Inspecting the mechanics of your home is a part of the comparative market analysis that a real estate agent will do, and real estate agents will also make recommendations in this regard. This will ultimately have an influence on the asking price that the agent establishes for your property. For instance, it goes without saying that a house with a water heater that is 20 years old and only functions at 80% of its capacity will be worth less than a home with a water heater that is a year old and still functions optimally. Should it be necessary to replace any mechanical components in the home, a real estate agent will advise you to do so. Often, relatively cheap and small touch-ups like a fresh lick of paint can do a lot for the kerb appeal that your property has for potential buyers, and a real estate will tell you if this is necessary. Staging your home is another aspect of the selling process that a real estate agent can assist you with. Staging allows potential buyers to envision themselves in the space, and real estate agents know what gets buyers excited. In the age of the internet, a great many people justifiably consider paperwork a drag. Unfortunately, completing documents is a reality, even in a time where almost everything can be officialised with a few simple clicks. When selling your property, you will be required to complete a number of documents to transfer ownership and to protect the buyer and the seller. Having a real estate agent assist you when selling your property doesn’t just keep the agent and agency accountable for any mistakes or omissions in the paperwork associated with the sale, it also absolves you from the responsibility of handling a task that is, for most of us, tedious, laborious and less than pleasant: admin. And make no mistake – there is a lot of admin and paperwork involved in selling a home. Enabling the legal transfer of your home to a new buyer comes with a paper trail which includes a Contract of Sale, Certificate of Title, Verification of Identity, as well as Form 1, which is a document that shows any registered or unregistered documents lodged on the property in the last 90 days, the title and valuation details, a copy of a register search for the certificate of the title, and any government interests associated with the land. If you are selling a second property that is not your main residence, you may also be liable to pay capital gains tax. If all of that has your head spinning, keep in mind that the regulation and laws governing real estate transactions may also change periodically, which might in turn have an effect on the documents required for the legal transfer of your property. Qualified and experienced real estate agents understand every step of the selling process, including which documents are required, and how to complete them. In addition to this, real estate agents will also handle all enquiries about your property on your behalf, guide you in the process of finding legal, conveyancing and financial services, and finalise the sale through a conveyancing specialist or solicitor. Real estate agents will also be able to advise you on the hidden costs associated with selling your home, helping you to plan accordingly. Real estate agents handle all the paperwork and take care of any administrative processes associated with selling a house. It is worth adding that they also understand all the terminology used in documents relating to real estate and can explain anything that is not clear to you. If any of the documents or terms mentioned above seem at all foreign, it would be better to hand the responsibility of the paper trail over to an expert who has extensive experience of the entire process: a qualified and licensed real estate agent. Good real estate agents have a number of characteristics in common. They are organised, they pay attention to detail, they are honest and hardworking, they are great communicators. Above all, they are objective parties who have one ultimate goal: to sell your property for the best possible price. Shane Kempton, Chief Executive Officer of Professionals Western Australia, reiterates that objectivity alone is a good enough reason to use a real estate agent to help you sell your home. “Because they (sellers) are emotionally attached, they also tend to overprice their home, which means the property stays on the market longer and becomes ‘stale’, with the end result being the seller may have to sell the property for lower than its original market value,” says Kempton. Private sellers often glance over faults and aspects of the home that potential buyers may see in a negative light. Reputable real estate agents will establish an asking price that is fair and in line with comparable properties in a city or suburb, but they do not have the emotional attachment to a house which the seller may have lived in for a number of years. Overpricing a home because of subjective feelings towards it, or negotiating from a place of emotional connection to the property makes it difficult for potential buyers to ask the questions they actually want to ask. Having a real estate agent handle showings of the house without the home seller being present, eliminates these concerns. Many people get a little emotional about selling their house and overlook things, settle for too little, or expect too much. Real estate agents are objective and keep their eye on the goal: getting the best possible price for your property. While it is true that there are horror stories about people’s bad experiences with real estate agents, a real estate agent who is qualified, licensed and experienced will almost certainly make a big difference in the eventual sale of your home. Agents who are experienced have access to a large network of potential buyers, thanks to their databases and connection to the world of real estate. They know and understand the ups and downs of the property market in the suburb or city that they conduct their business in, and are constantly following the house markets locally and internationally. They are expert negotiators that will address any enquiries on your behalf. They know how to stage a home in order to make the best possible impression on potential buyers. Real estate agents will advise you on the necessary repairs and upgrades that your property will have to undergo to fetch the best price in a reasonable time. Real estate agents will handle any and all paperwork associated with the sale of your home, ensuring that all your bases are covered once your property exchanges hands, and protecting you against any litigation processes in the future. Despite having their clients’ best interests at heart – and also to ensure that they earn their commission in a way that is fair and beneficial to both parties – real estate agents act as non-partisan, objective marketers of your property. Considering the fact that selling your property will be one of the biggest financial transactions you undertake in your lifetime, having an expert on board to help you makes all the difference. Perfect Agent is there to take the difficulty out of choosing the right real estate agent to help you sell your home. When making a selection, the pool of real estate agents that Perfect Agent picks from only contains the most qualified and successful real estate agents in a specific suburb. We make recommendations based on previous success and your specific criteria. When we send you recommendations, these are standardised to make it easy to compare apples with apples. Best of all: you do not pay a cent for this service, and it is as easy as completing a two-minute survey. Fill in the form below, and let us take the hassle out of this important decision. How To Find the Best Real Estate Agents In Perth What Will $1 Million Buy You in Real Estate Across The World?